BHU Bachelor of Fine Arts (BFA) Admission 2019 will be based on BHU UET. BFA is a 4 years course (8 semesters) and is taught at Faculty of Visual Arts, BHU Campus and the admission to this course will be based on a written exam. BHU UET Fine Arts has one Theory & two practical paper. The question papers for the previous year are also given so that the students can get an idea about the type of questions that asked in the entrance exam. BHU Bachelor of Fine Arts (BFA) UET Application Process is started on 10 February 2019 and the last date to apply for BHU Bachelor of Fine Arts (BFA) UET is 9 March 2019. BHU Bachelor of Fine Arts (BFA ) Course code is 180. Get complete details on BHU Bachelor of Fine Arts (BFA) on this page below. BHU BFA Total Seats- 77 for both Male and Female. Apart from BHU Bachelor of Fine Art (BFA) Hons, BHU offers admission to following undergraduate courses. A separate test will be conducted for each course. However, there are certain courses where a combined common test will be conducted. The number of seats provided at the Faculty of Visual Arts is 77. The candidates applying for the admission should be 22 years or less as on 1st July 2019 that is the candidates must be born on or after 1 July 1996. Candidate must have passed Class 12 or equivalent examination with a minimum aggregate of 50% marks. The BHU Bachelor of Fine Arts (BFA) Admission will be done on the basis of BHU UET. The candidates can download the admit card from the official website of Banaras Hindu University one week prior to the exam. The students have to log in to the BHU Applicant's Login and download the BHU admit card 2019. The candidates are suggested to follow the link below to get the complete information on BHU UET Admit Card. BHU UET Theory Paper will be conducted on the aforesaid test centre list but the Practical Paper of the selected candidates on the basis of written test will be conducted at BHU Campus, Varanasi. BHU UET BFA Application Fee amount is different for all the categories of candidates who will fill the common BHU UET Online Application Form. The candidates are required to pay the Application fee given below through online mode that is credit Card/Debit Card or Net banking and also in cash through any of the branches of HDFC Bank. The additional course fee is for opting more than one course in the BHU UET Application Form is given below. BHU UET Result for BHU Bachelor of Fine Arts (BFA) will be available in June 2019. The merit list for the same will be prepared according to the result. The selection of the candidates will be made on the basis of merit list prepared. The Merit shall be based on the sum of two components viz., marks obtained in Theory and practical tests. First, those candidates will be put in the merit list according to their combined marks who have secured the minimum qualifying marks in theory as well as practical paper. After that those candidates will be put in the merit list on the basis of their combined merit in theory and practical tests which have obtained the minimum qualifying marks in the practical test but could not get minimum qualifying marks in theory. 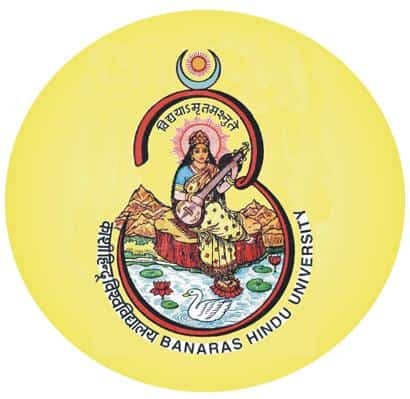 BHU, Banaras Hindu University will announce the BHU BFA Counselling schedule for various courses for the year 2019-20. Check the course wise BHU Counselling 2019 schedule for BHU Admission 2019-20. The Counselling would be held for the following seats (counselling will begin in July 2019). First of all the regular seats in the main campus will be filled and once they are full, then the counselling for the paid seats in the BHU Main Campus is conducted, and lastly, the seats in the affiliated colleges are filled. Candidates will be required to create Memory Drawing from imagination via any of the following medium Pencil, Colour Pencils, Pastels, Crayons, Water Colour, Poster Colour. Practical Test will be conducted at the BHU Campus, Varanasi only. BHU UET BFA Previous year Question Papers are given below in the table. BHU UET last years Question Papers are given below on this page. The candidates can click on the link of each year question paper and they can get an idea for their exam preparation to appear in BHU UET 2019. BHU UET Previous Years Question paper will also help the candidates to know the exam pattern and the type of questions asked in the question paper.